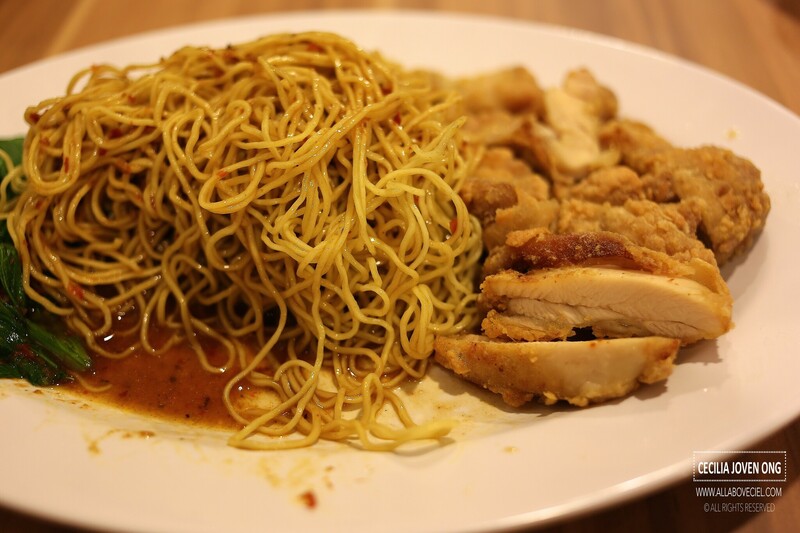 ALL ABOUT CEIL: RedRing Treasures : Chicken Cutlet Noodle is worth a try! 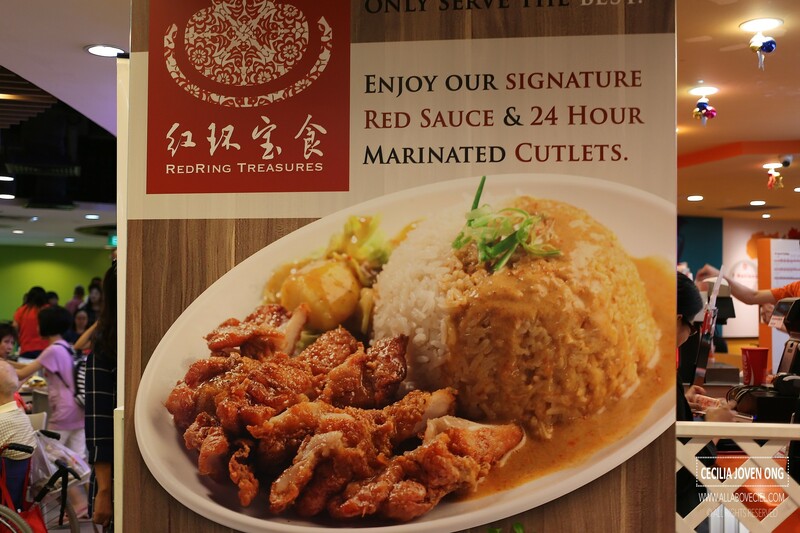 RedRing Treasures : Chicken Cutlet Noodle is worth a try! In the past, the boss, David was a taxi driver and Esther, the lady boss, was a housewife. 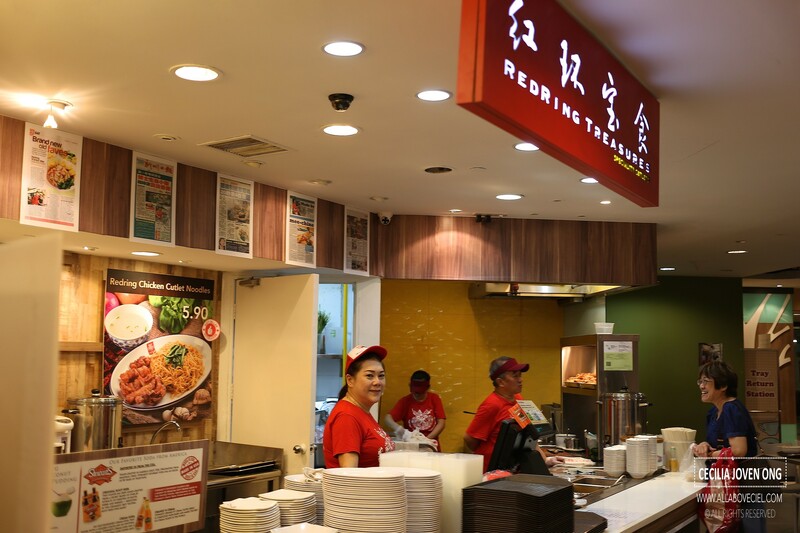 They started RedRing Wanton Mee, their first outlet at Holland Drive in 2013. Their son, Roy, a Chemistry Student from NUS that is currently pursuing his graduate studies at Stanford University scientifically developed recipes for their sauces. The first version of the recipes for their sauce were developed by Roy then. Their family has made 4 major upgrades to the recipes since then and they are offering the latest version which is the Version 5. They kept the written recipes in a safe with the exact formulation known only to 4 family members. The service was warm and adequate, the orders were quickly taken by the smiling auntie in the picture. She asked, 'Do you want to eat noodles or rice? Do you want it with Chicken Cutlet, Pork Cutlet or Fish Cutlet?' After some thoughts, i decided to have Chicken Cutlet with the noodles and Pork Cutlet with the rice. 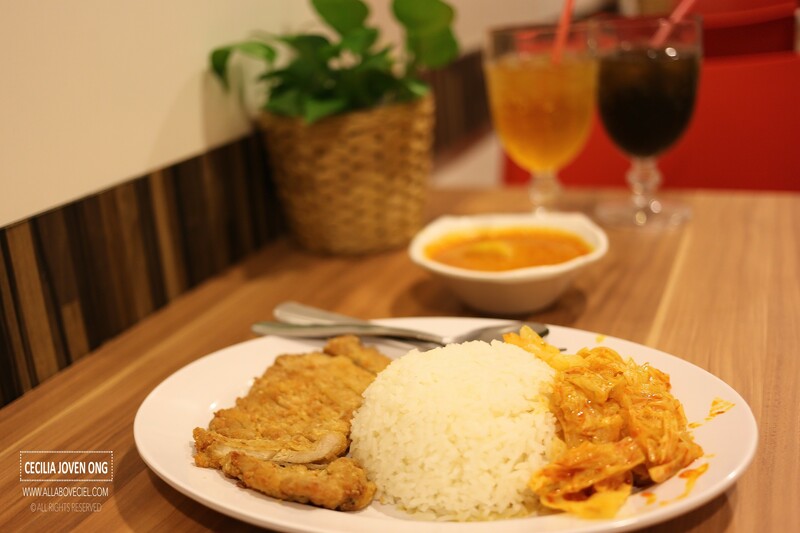 The Chicken Cutlet Noodle is priced at $5.90 and the Pork Cutlet Curry Rice is at $6.40. I was expected to pay then waited right at the counter to collect my orders. They have a policy to deep-fried their cutlets upon order to ensure its crispiness but they do it in large batches during peak hours to shorten the queue. There is a limited time offer to give a free drink with every order of Chicken Cutlet Noodle. 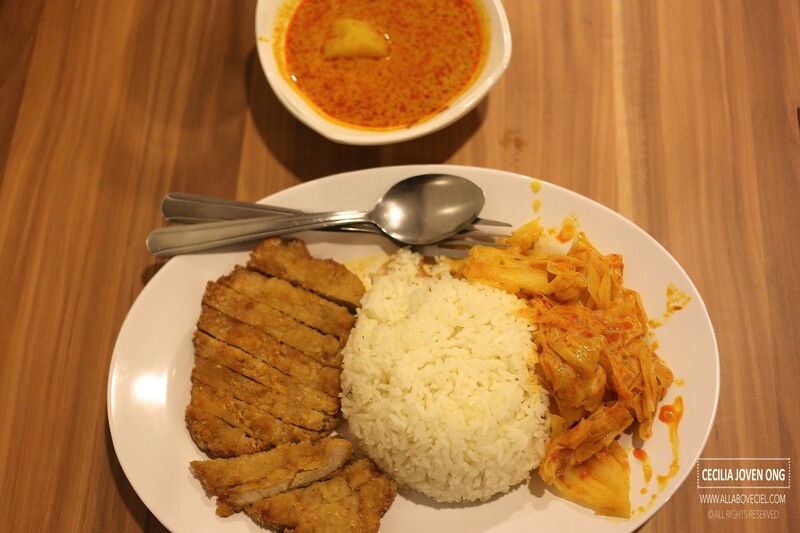 That auntie was kind enough to offer a free drink even for the Curry Pork Cutlet Rice. 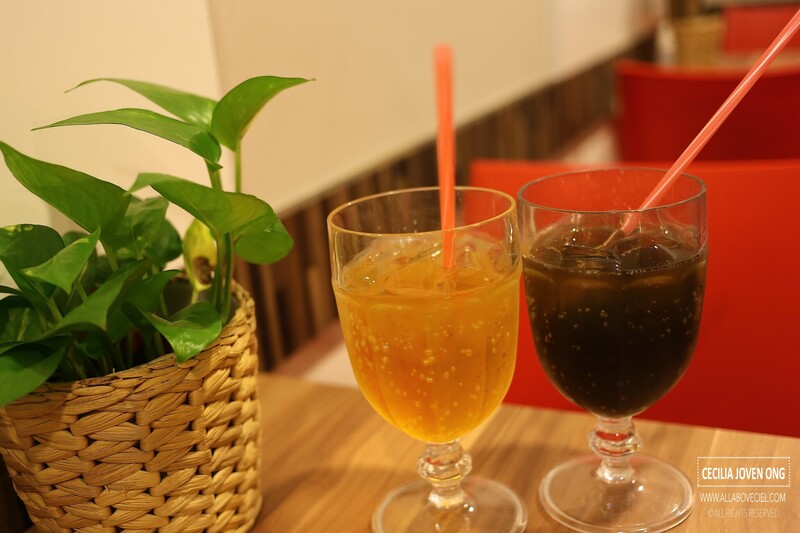 Everything is prepared fresh on a daily basis from using fresh ingredients to prepare their sauces, their broths and marinade of their cutlets, all are done using their secret recipes. They developed a process to marinate their cutlets for 24 hours in their secret marinade to allow maximum infusion of flavor into the meat. Apparently, the chili sauce did not taste as spicy as warned by the auntie but there was a sharp spiciness though without the spicy aftertaste, it is not quite intimidating. 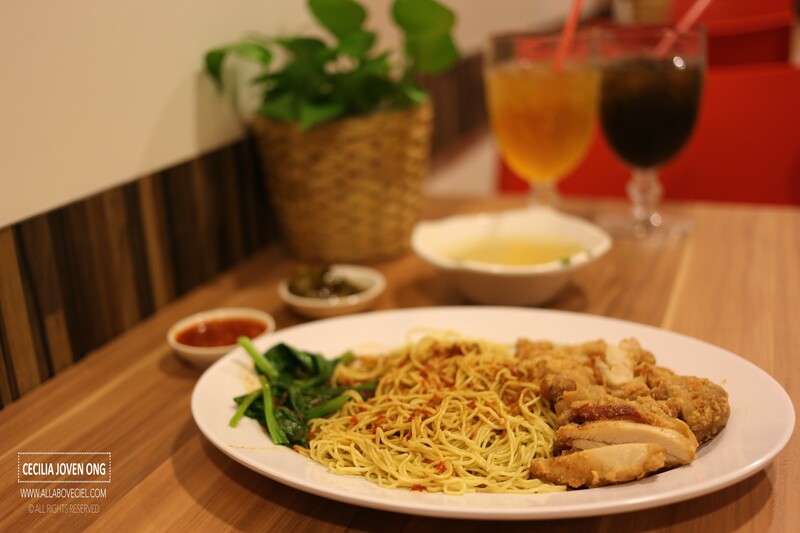 Their noodles are made to their specification using special high protein flour and eggs in the right ratio to achieve the desired springiness without relying on the traditional alkaline water and so, their noodles do not have any alkaline taste. The use of egg in the noodles provide a full-bodied flavor that is perfect to go with their signatures sauces. 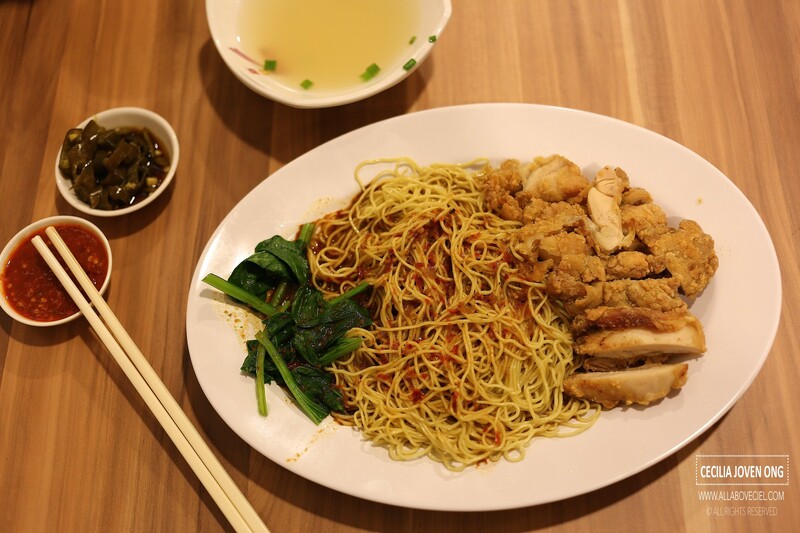 Apparently, the most important step is the 8-hours aging period where they cool the noodles to allow the natural enzymes in the eggs and flour to break down complex sugars and proteins into simpler but rich flavor. They cooked their noodles in a custom built noodle cooking machine to ensure a perfectly cooked dish with the right consistency. The thermostat of the machine to keep the water temperature at exactly 100C to allow precision in cooking each ball of noodles for just 18 seconds. This is the key that contributed to precision cooking in achieving the springy texture of their noodles. During the process, they kept replacing the old starchy water with the fresh hot water to give their noodles a very clean surface texture to better adsorb their 2 different sauces, the red and the clear. Their signature red sauce is made with a strong pork bone broth that boiled for a full 4 hours to derive a maximum flavor. It is the combined with their secret 'rempah' paste made from a solid reduction of onion, garlic, chili and several other as part of their 14 secret ingredients like shitake mushroom and ikan bilis to be the major ingredients to maximize the umami sensation. Their traditional clear sauce is a simpler and less complex sauce made from a rich chicken broth that is designed to be umami rich yet subtle to allow a full enjoyment of the texture and taste. The Pork Cutlet Curry Rice did not look as good as how it was illustrated on their picture. Apparently, it did not fare as good as the Chicken Cutlet Noodle. It was served with a good portion of Pork Cutlet with Curry Vegetable and a bowl of curry sauce with a piece of potato in it. The Pork Cutlet was not too bad though a bit too thin. The Curry Vegetable did not cook well enough to give it the desired softness and not too much flavor. The curry sauce was quite good though, rather aromatic and creamy with a slight hint of spiciness. The other must-try has to be their Onion Flower, just like the Bloomin' Onion by Outback Steakhouse. They serve it crispy and fragrant to pair with their sweet garlic oil.